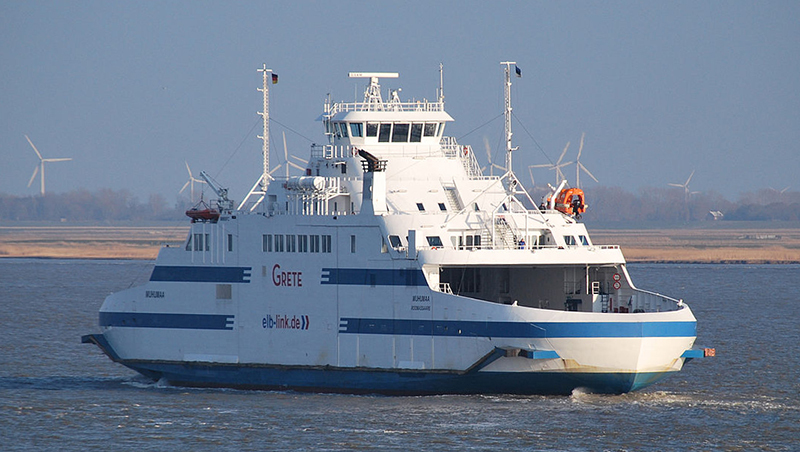 MUHUMAA, the double-ended ferry having operated as GRETE between Cuxhaven – Brunsbüttel has reportedly been sold to Labrador Marine Services, a member of the Woodward Group of Companies. She has been re-registered in the Marshall Islands. Unconfirmed reports say she’s going to be rebuilt by the Fiskerstrand Yard, prior to going to Canada. The vessel and her two sisters were built for operation on the Estonian side of the Baltic Sea, and have her sisters SAAREMAA and HIIUMAA are believed to have been sold to the same company, but this has not been confirmed. The local Government (Department of transportation) wanted to increase the number of vehicles and passengers that could be accommodated on the run from St. Barbe, Newfoundland to Blanc Sablon, Quebec, just across the boarder from southern Labrador. It was searching for a new, ice-reinforced ferry.